When will be Dream Gardens next episode air date? Is Dream Gardens renewed or cancelled? Where to countdown Dream Gardens air dates? Is Dream Gardens worth watching? A stunning new eight-part series that sees unloved outdoor spaces spectacularly reimagined. 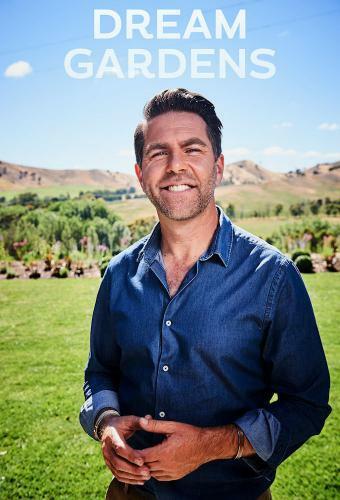 Hosted by one of Australia's leading landscape designers, Michael McCoy, each episode follows the transformation of one garden as the owners work with the best designer's in the business to battle weather, absent tradies, shifting design visions and budget blowouts. From the first spade hitting the ground to the incredible end result, Dream Gardens captures some of the most imaginative and challenging garden designs coming to life.For design inspiration and clues to what the finished spaces will look like Michael also visits some of Australia's most spectacular gardens, as well as providing practical design tips along the way. Alongside the design evolution there is also a personal journey for the garden owners. Across the series all of the stories highlight the lengths that people are prepared to go both financially and emotionally to get their ultimate garden. This is a series that celebrates the great gardens of today, the best of Australian design and the spaces from which viewers can take inspiration. After tragically losing their wife & mother to cancer Roberto & his two children are hoping that the transformation of their garden will not only bring them healing but also create an everlasting tribute to their loved one. Phillip and Maria are awaiting the birth of their first child and the creation of a lakeside garden. Sounds idyllic, right? However, delays, bad weather & budget constraints conspire to keep the expecting couple ever waiting. Justine and Greg are busy with three kids and high-pressure jobs that often take them away from home. It's their dream to have a garden sanctuary to escape, relax and recharge in. Can they find sanity from the insanity? Dream Gardens next episode air date provides TVMaze for you. EpisoDate.com is your TV show guide to Countdown Dream Gardens Episode Air Dates and to stay in touch with Dream Gardens next episode Air Date and your others favorite TV Shows. Add the shows you like to a "Watchlist" and let the site take it from there.